A water heater is a home appliance that can be easy to forget about until you have no hot water. And by that time, it’s usually too late for preventive maintenance. That’s why you should call our water heater service at the first sign of trouble. There’s a few things you should check before calling us. If your electric hot water heater is becoming slow to heat up, is running out of hot water faster than it used to, or doesn’t produce any hot water at all, then there’s around a 90 percent chance that by replacing one or both of the heating elements will fix your problem. Water heater repairs are pretty straightforward, and replacement heating elements are cheap ($8 to $20) and readily available at hardware stores, and appliance parts dealers online. Standard residential electric water heaters will have two heating elements; one at the top of the tank and one near the bottom. In most units power enters through the top and runs to the high-temperature shutoff switch, and then on to the thermostats and elements. The top and bottom elements will be controlled by separate thermostats. When the water at the top of the tank becomes hot, the top element shuts off and the lower one continues heating the cooler water on the bottom. Under normal conditions the upper and lower heating elements should never be on at the same time. Rarely, both heating elements will test-out OK, but you still have no hot water. You can try pushing the (usually red) button on the “high-temperature cutoff”, which you will see just above the upper thermostat. This may resolve your problem, but if it happens again, you should test your heating elements with a multi-meter. There could also be other potential causes of not having hot water. Before you go to the trouble of testing the heating elements, you should check to make sure that the circuit breaker isn’t tripped. Also, press the red reset button on the high-temperature cutoff (if you have one) to make sure its completely depressed. You’ll find that just above the upper thermostat. By resetting either the circuit breaker or the high-temperature shutoff you may resolve your problem, but the fact that they popped in the first place probably indicates an electrical problem. If they are tripped again, you need to test the heating elements. If the heating elements test good, the problem is likely with the thermostats or cutoff switch. Testing can be complicated, but since they’re inexpensive (national average cost of about $20 for both thermostats including the cutoff switch) you could just simply replace them. If properly maintained, most water heaters will operate without issue for many years; however, as with any major appliance, problems can arise. If something is wrong with your current hot water heater, take comfort that San Jose Plumber’s has lots of experience with this type of residential problem. 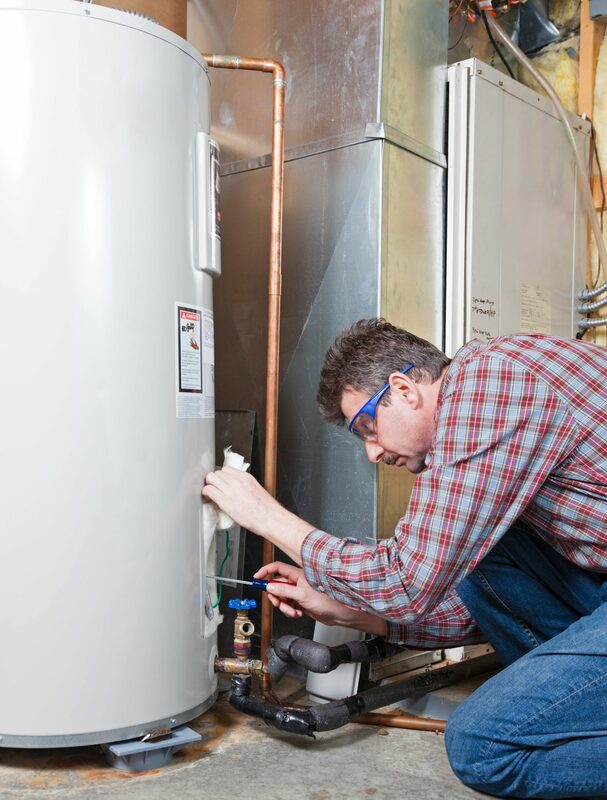 We offer expert hot water heater repair and service with over 100 years of combined experience. A malfunctioning water heater may mean some discomfort for you and your family, but more importantly it can expose potentially serious safety concerns in your home like carbon monoxide build-up, or improper gas burner ventilation that can lead to an explosion. When you call us for hot water heater repair, our operator will ask for a little information and history with the issue. We will let you know if outside our service area how much the service call charge will be, and then schedule a diagnostic appointment. 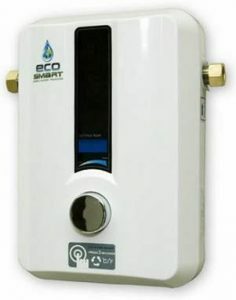 If it is time to change-out your old water heater, you may want to consider going tankless – especially if the whole reason you’re in the market to begin with is a leaking, rusted out water tank. If you have a family size of 5 or more getting ready at the same time every morning, then you probably have had your share of cold showers. If you have less than 5 people in your household and have a 50-gallon tank or larger, you spend a good amount of money heating water all-day that you don’t really need. A tankless solution will cost a little more up-front, but will likely pay for itself in 5-7 years. Size Example: Let’s assume that the average shower is 104–106° and uses 2.6 gallons of water. Let’s also assume that the water temperature coming into your home from outside is 40°, and you need to produce enough hot water to have 2 showers running at the same time, what temperature rise would you need to produce this? GOAL/ANSWER: To increase outside water temperature from 40° degrees to 105°. To do that, you have to be able to heat-up at least 5.2 gallons of water in 60 seconds. So, you need a tankless water heater that can make at least a 60° degree increase in temperature at a rate of 5.2 gallons per minute. What’s the National Average Cost of a Tankless Water Heater? The minimum cost for a low gpm unit would be around $200, and a much higher quality unit with a much longer warranty will run around $2500, with a median average range of about $1,500. If you research the hardware thoroughly you’ll see why there is such a large price gap. How much hot water will you need on-demand at one time? Do you need to run 2 showers at once or maybe a shower and a sink? The range of water usage and average water temperatures for various fixtures is different for every home. We recommend using a baseline estimate of 2.5 gpm for a shower and 1.5 gpm for a kitchen sink to determine your total simultaneous water usage. In another example, if you were running 2 showers at once, you would need at least 5 gallons of hot water per minute from your tankless water heater. If you’re running a shower and the washing machine at the same time, you would need 4.5 gallons per minute (gpm) from your water heaters. In either of these scenarios, you would want to ensure you buy a size that meets or exceeds your maximum on-demand hot water needs. Note: Tankless water heaters are designed to heat potable (drinking) water only, and the inlet water should NOT be pre-heated. 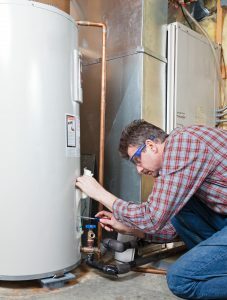 All hot water heater repairs are quoted on a flat-rate basis and include both parts and labor.